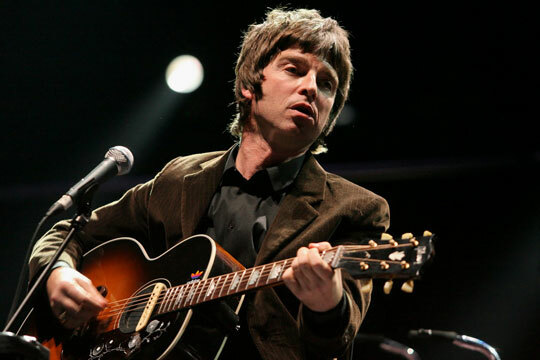 oasisinet.de - german oasis fansite > News > Noel Gallagher > Noel Gallagher to announce solo release details on Wednesday? According to The Sun, the singer/guitarist will announce „all the details“ about his future plans at the summit, which will come just under two years since Gallagher split Oasis after an apparent altercation with brother Liam in Paris. Gallagher is believed to have been working on material in a Los Angeles studio in recent months, although details of the sessions have been closely guarded – bar a couple of notable leaks. Last month, video production company In A Place Productions claimed that his debut solo single would be titled ‚The Death Of You And Me‚. The Los Angeles-based firm confirmed it was working on the video and posted a message about the the clip on its Facebook page. The posting was subsequently taken down and Gallagher’s spokesperson is yet to respond to a request for confirmation or denial on the single title. Cameraman Nito Serna also recently tweeted that he was working on a video for Gallagher at the Club Ed film set in California. He wrote: „Music video for Noel Gallagher out at Club Ed. Epic camera, techno crane. Should be an interesting day.“ That tweet was also removed soon after it went up. You Me At Six singer Josh Franceschi also gave an update of sorts on Gallagher’s progress in March after the band recorded in the same studio at Gallagher. „Can hear Noel from Oasis blasting his new tunes from the studio next door. Absolutely mental,“ he wrote on his Twitter page, Twitter.com/joshmeatsix.